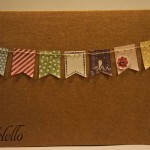 Here is another card made using the Crazy About You Stamp Set and Hello You Thinlits Dies. In this one I’ve gone golden! The background splatter is from Gorgeous Grunge which is not a new set, but is a new one in my collection. I inked the splatter stamp with VersaMark and sprinkled over some gold embossing powder. I love this powder! When I first got it I thought it was going to be a really dark gold but when I heated it, it turned into a very shimmery gold and I was just blown away, so shiny. On top of the golden splatter I layered some banners made with paper from the All Abloom stack, Island Indigo cardstock and a Whisper White banner with Birthday stamped in Island Indigo. 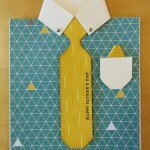 Over all the banners I layered happy from the Hello You thinlits dies cut from some gold foil – more shine! The designer series paper I used had Island Indigo and Lost Lagoon flowers on it. 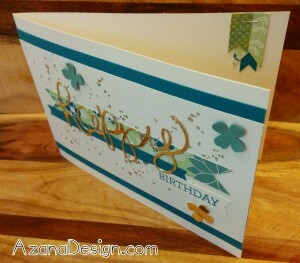 I added some extra flowers in Lost Lagoon and gold foil using the flower punch from the Itty Bitty Accents punch pack. 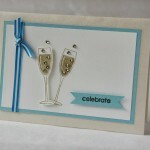 The top layer of the card was then laid on an Island Indigo matt before being stuck to the Whisper white card. I’ve been making an effort recently to add detail to the insides of my cards. 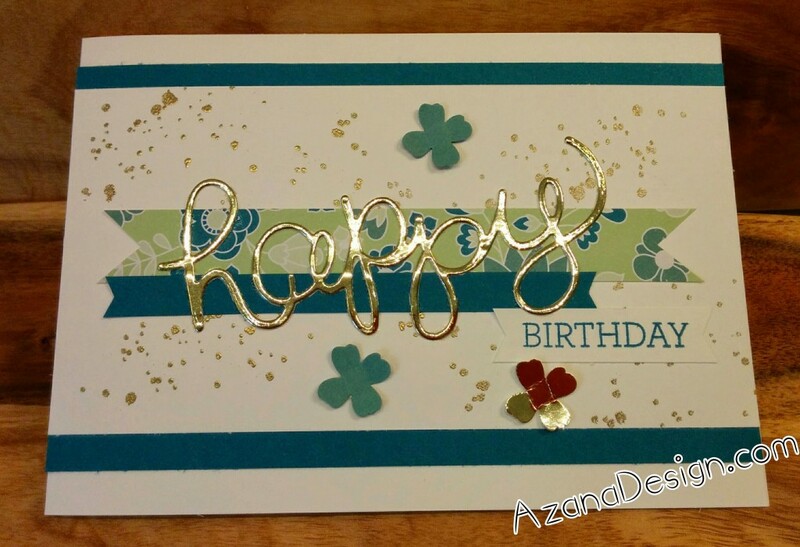 To this card I added some short banners made from the same designer series paper, Island Indigo and a scrap piece of DSP with blues and greens on it. I simply stapled these banners to the with my new Handheld Stapler… which is just a stapler, but I really like it! One Response to "Going for Gold"